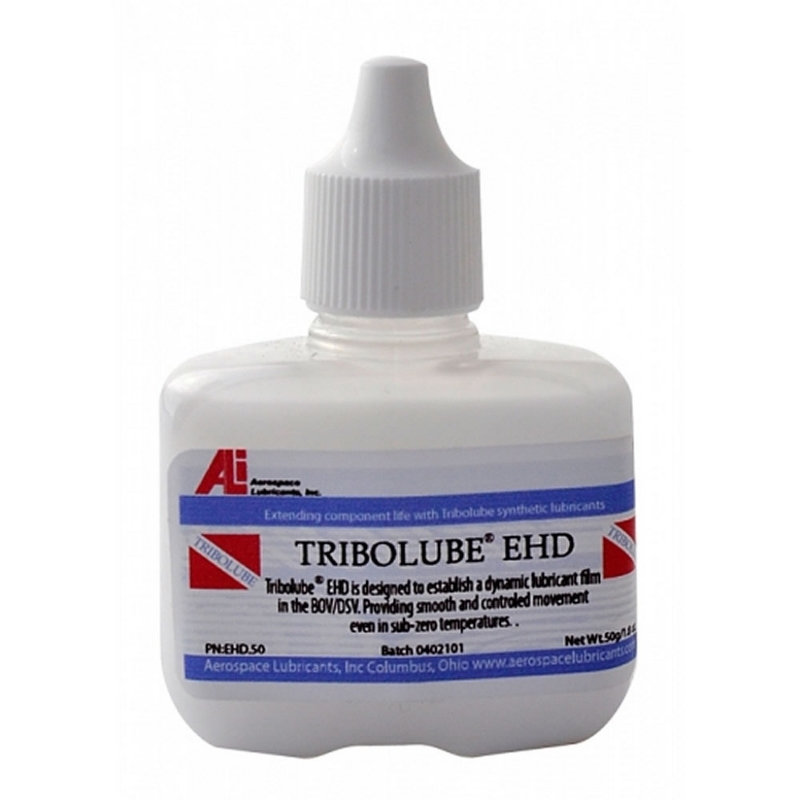 Tribolube® EHD was designed to establish a thin dynamic lubricant film or layer of lubrication on mated, contacting, interference, rolling, and sliding surfaces. Elastohydrodynamic lubrication: The opposing surfaces are separated but there occurs some interaction between the raised solid features called asperities, and there is an elastic deformation on the contacting surface enlarging the load bearing area whereby the viscous resistance of the lubricant becomes capable of supporting the load. Lubrication that occurs under varying pressure and causes the surface under pressure to expand and move on a thin film that separates the two surfaces. In these areas Tribolube® EHD will support the load or force between two surfaces. Tribolube® EHD is safe to use on rubber, plastic, urethane, latex, neoprene, silicone, composite, and metal gear. Place a few drops on BOV’s or DSV’s, and achieve smooth and controlled movement even in sub-zero conditions. Apply a thin line of Tribolube® EHD directly on the edge of the lid and edge of the scrubber canister that are directly contacting, plastic threading, and areas that become difficult to actuate, loosen, tighten, or disassemble for routine maintenance. Tribolube® EHD is 100 % oxygen compatible and suitable for use on issues that occur in these areas.